The 2018 year started with the premieres of the redesigned light-duty Silverado 1500 and Ram 1500 and the new GMC Sierra 1500 arrived a bit later. Chevrolet also presented recently the new Silverado 4500 and 5500HD models and after the launch of the all-new Silverado 1500, we know that redesigned 2500 and 3500HD are not far from the arrival. 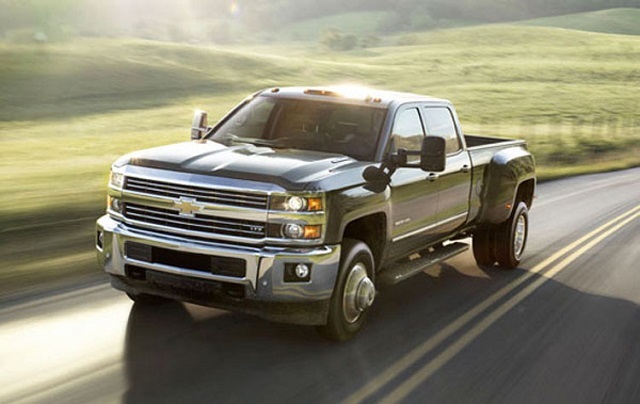 The three-quarter and one-ton Silverados are already performing testing and spy photos of the 3500HD already appeared. However, the 2019 Chevy Silverado 3500HD won’t be the all-new model and we should expect the new-generation version to come in time for the 2020 model year. The 2019 Silverado 3500HD will offer revised equipment range and more standard features. Chevy could also introduce new package options and exterior theme to make things more interesting before the approaching redesign. The 2019 Chevy Silverado 3500HD will return in the uncharged form when it comes to the way it looks. The heavy-duty, one-ton version will sport Chevy’s design similar to the previous generation light-duty Silverado while the new-generation HD models will apply similar styling cues and other technique from the all-new, light-duty Silverado. The redesigned HD models will get similar, slimmer headlights and new grille like the 2019 Silverado 1500. Chevy will also improve truck’s structure and utility with new materials and techniques. 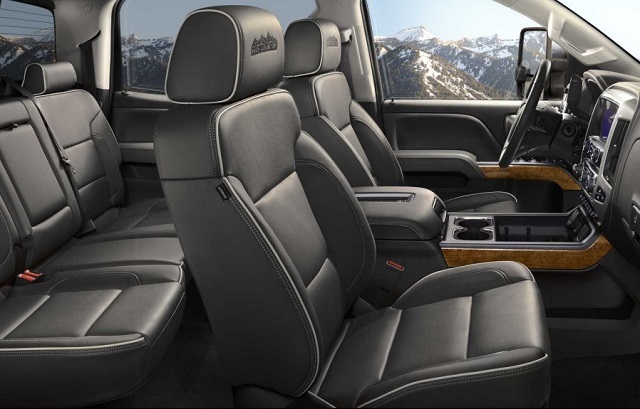 Interiors of the Silverado 3500HD will continue in the familiar form and with solid built and material quality. The trucks will also have well-designed controls that are easy to use while upper grades will bring more premium materials and equipment in the play. The 3500HD models will start with the vinyl upholstery, air conditioning, power locks, driver information display but also with the rearview camera, a 7-inch touchscreen-based MyLink infotainment system, six speakers, etc. Upper grades will provide an 8-inch infotainment system, a Bose sound system, navigation system and several active safety systems. The truck can also be equipped with the automatic climate control, leather upholstery, heated and ventilated front seats, power pedals and much more. The truck will arrive in three cab styles and with the choice between the long and short bed. This truck is also available with the dual-rear-wheel layout. The 2019 Chevy Silverado 3500HD will again rely on the same engine options and deliver towing capability and confidence buyers need. The standard engine under the hood will be a 6.0-liter V-8 engine matched with the 6-speed automatic transmission. This engine makes 360 horsepower and 380 pound-feet of torque. More torque and higher towing capability than the gas-powered Vortec Silverado 3500HD will deliver models with the well-proven Duramax diesel engine. A 6.6-liter turbodiesel V-8 can produce 445 hp and torque of 910 lb-ft. This engine works in the combination with the heavy-duty Allison six-speed automatic gearbox. The Silverado 3500HD will offer “dually” setup in all versions. This truck can haul up to 7, 153 lbs. The towing limit is 23, 300 lbs. The 2019 Chevy Silverado 3500HD will not change the price radically and should again start around $35k. The models will arrive late this year.